Unique mechanism with easy slide movements adjusts legs separately for work on uneven surfaces. 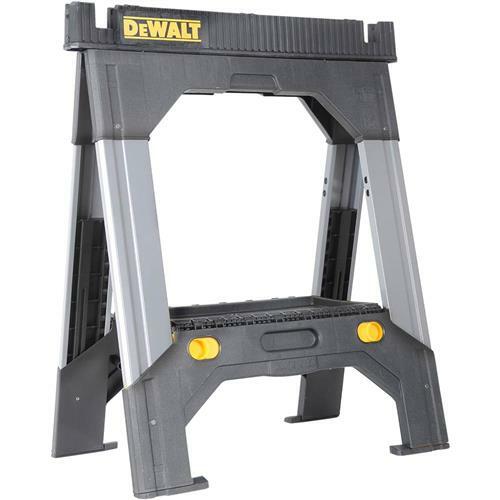 High quality combination of metal and plastic for load capacity on pair of up to 2500 lbs. Rubber inserts on legs and upper ruler for stability and V groove ruler for work with lumber or pipes.